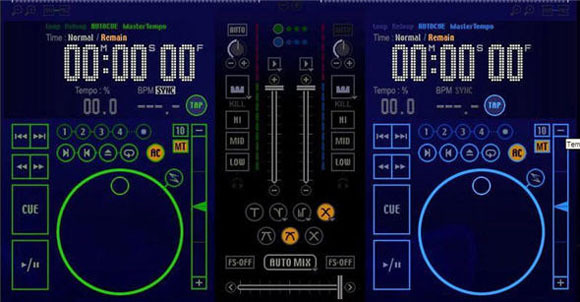 Pioneer, known for their DJ software (and their superb video scratching hardware, the DXJ-X1 as covered here previously) have opted to release a software-only solution. But unless I’m missing something, the new DJS software has little going for it other than the Pioneer name. All the basics are here: MP3 support with built-in ripping, auto mixing, on-screen waveform cueing, cue points and looping, fader start features, and so on. Other than that, though, looks fairly bare-bones, and Pioneer is entering an already-overcrowded market here. This might appeal to Pioneer fans, except — don’t you guys own hardware? So if I’m so bored by this and it’s two weeks old anyway, why am I bringing it to your attention? Because you get to enjoy . . . (drum roll) . . .
Pioneer’s Groundbreaking Explanation of the QWERTY Keyboard!